Over the last few years my good friend Barry Taylor has built up a small collection of New Holland combines, his busy life as a contractor has not prevented him spending many hours restoring his machines and he insists on using them to cut his small acreage and also some local acreage for a few small farms near to him in Gloucestershire. 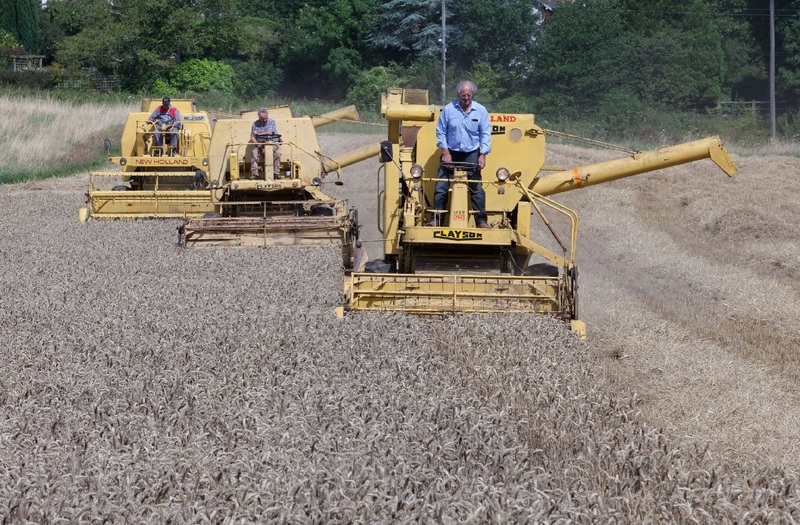 The Last couple of seasons Barry and myself had planned to run all of his combines together but as always this isn't as easy as you think. 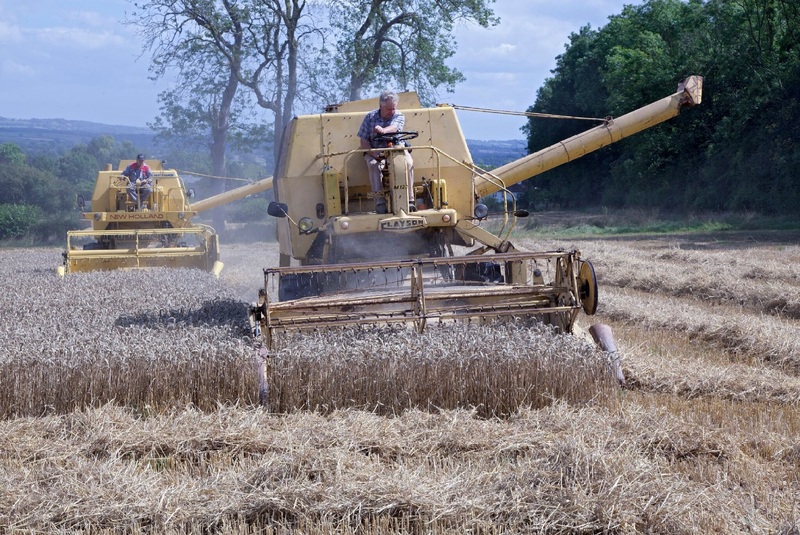 Work commitments, our own harvest, and also lack of other operators that can be available at very short notice is always a tall order as I well know,and mother nature can always be relied upon to throw a spanner in the works!. 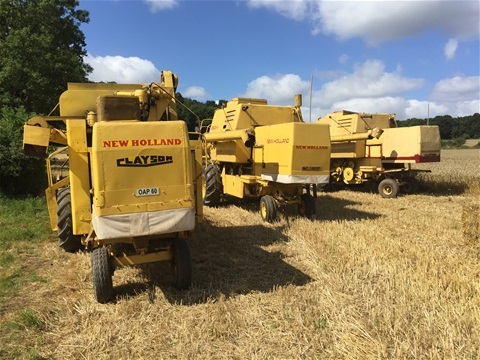 Barry has made the trip down to us here in Somerset several times to help run our Masseys and we are more than happy to help him with his harvest, and its a pleasure to operate his New Holland's which he keeps in excellent order and is a credit to him. 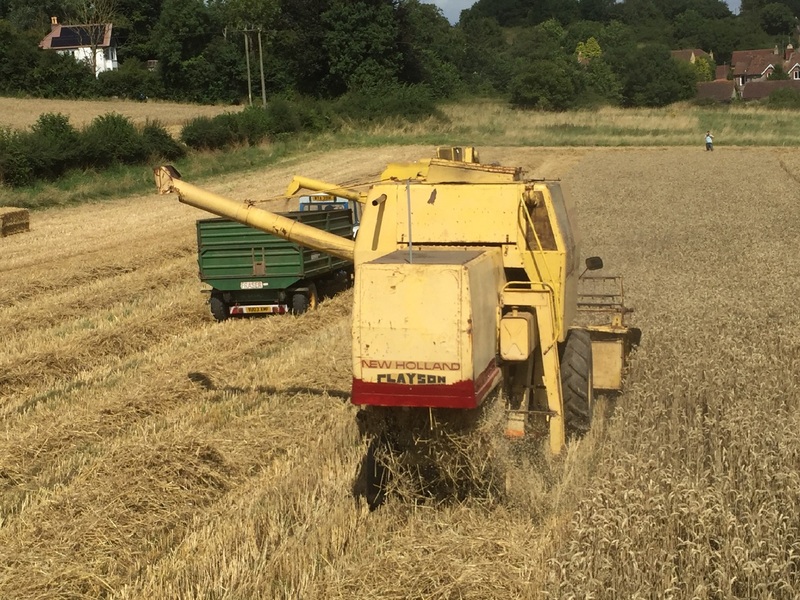 An opportunity came our way this year, Barry had planted 17 acres of winter wheat behind his home and due to the soil type in his area crops are normally always forward to our own so in theory it could work in our favour. 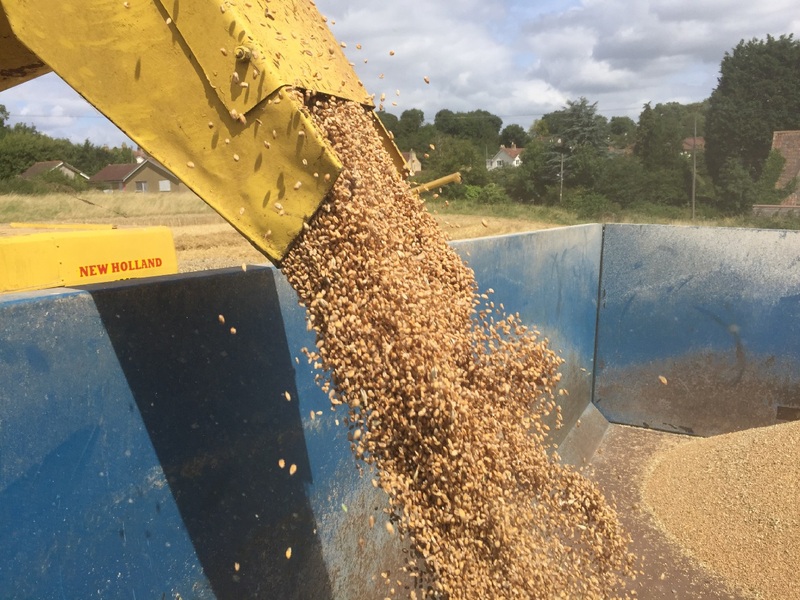 With our first customers crops of spring barley cut early August the news from Barry was his wheat was pretty close and he estimated it would be fit to go in the next few days although the weather was very hard to call at this stage. 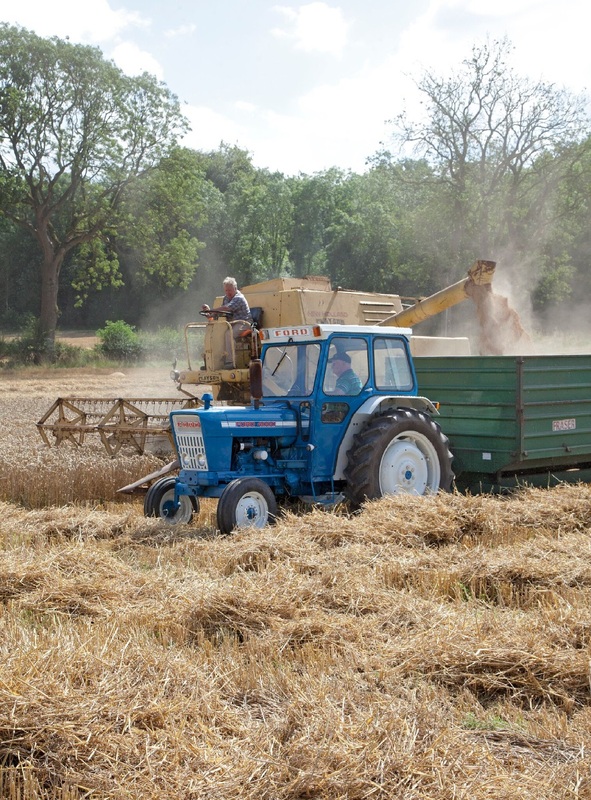 In the meantime as not to waste an opportunity to capture these vintage machines in action I spoke to Rory Day Editor of Classic Tractor, Rory has in the past been very keen to capture all of our exploits with these classic combines and he literally pulls out all the stops to capture these golden moments. 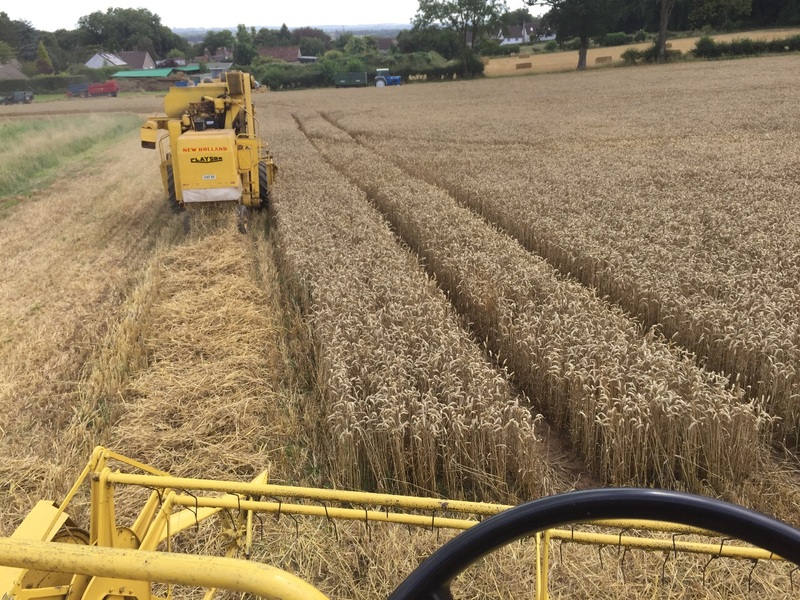 Our first day we had set to commence harvesting was set for a Sunday and the forecast was subject to localised thunder storms! And at around 7 am on the Sunday morning Barry rang me to break the bad news that his area had received heavy storms overnight and it was abandoned for the next few days at least. So I set about contacting Rory Day and also the photographer Jonathon Page who had left already to join us, and also my good friend Vivian Carter who had left his home in Devon an hour earlier on a nice summer morning unaware of the weather ahead. My good friend Vivian Carter agreed to join us on this harvest trip and operate one of the combines. 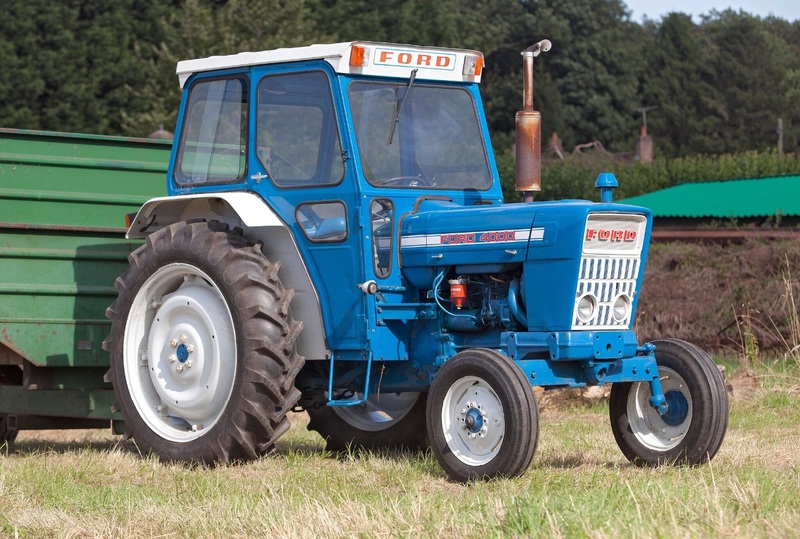 In the early 70s I started working for Viv in his agricultural business, Viv had built up a small fleet of 1000 series Ford's including the 7000s and also a few David Brown's, and we carried out a large grass harvesting season which took us to Somerset, Dorset, Wiltshire, with several New Holland Double Chop foragers and multiple tractor trailer combinations to keep everything on the move, also a John Deere 450A crawler used with a special designed fork to push up the grass which was designed by himself. 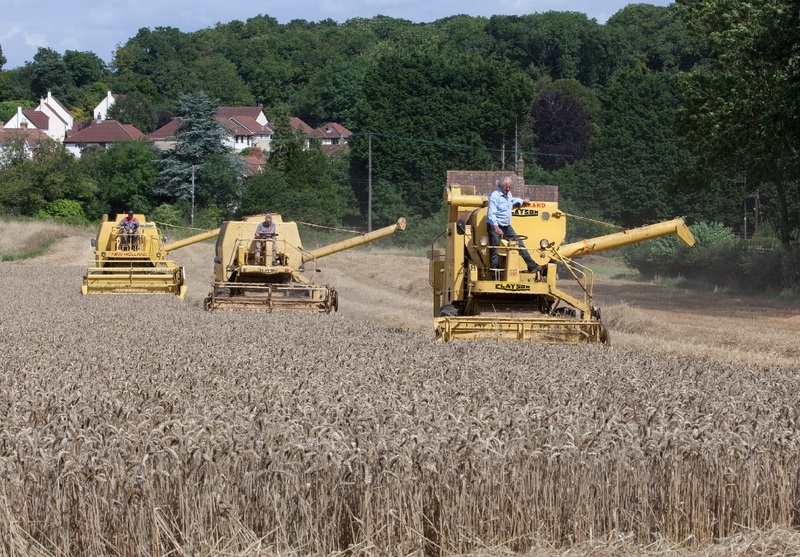 Viv had also ventured into plant with a couple of B100 Drotts and a jcb 2b, and a Massey 450s excavator. From the very first day working for Viv I was on a learning curve and he made everything seem possible whatever the odds, and despite the hectic workload Viv always had a positive outlook and that was passed onto everyone who came within his circle and as a young man starting out I have to say my years working with him probably prepared me for my own journey and gave me a head start in my chosen working career. I lost touch with Viv when he emigrated to Spain in the late eighties and never heard of him until last year when an unexpected email arrived from him through this website! 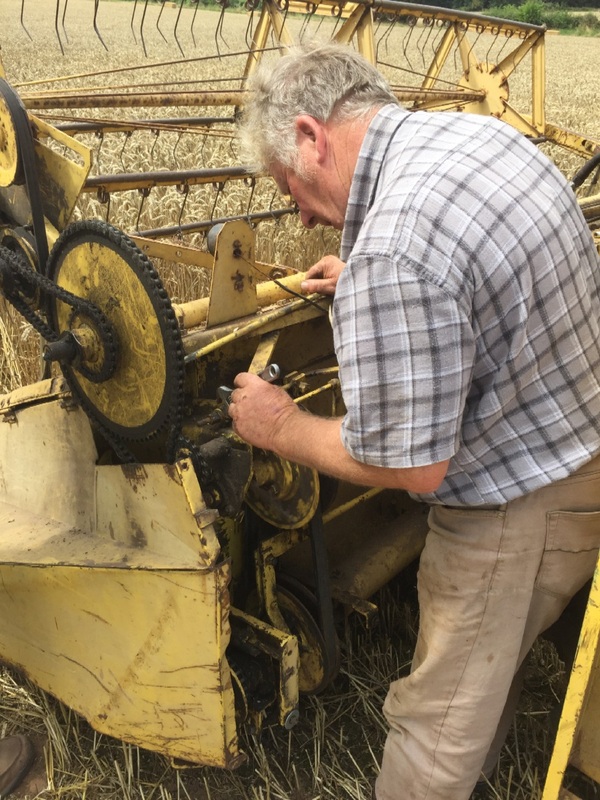 We met up last Summer and he kindly helped us with our own harvest,although a busy life as a property developer now Viv still loves the machinery and its great to have him around as he has a great knowledge of this work still today and plenty of advice to offer. For sure I could fill several pages with stories of those contracting days, it reminds me of those times when I see those Grassmen dvds advertised! I think we were there long before them boys! But didn't have the machinery that's offered today, but regardless we moved the grass, cleared the acres,we had to! 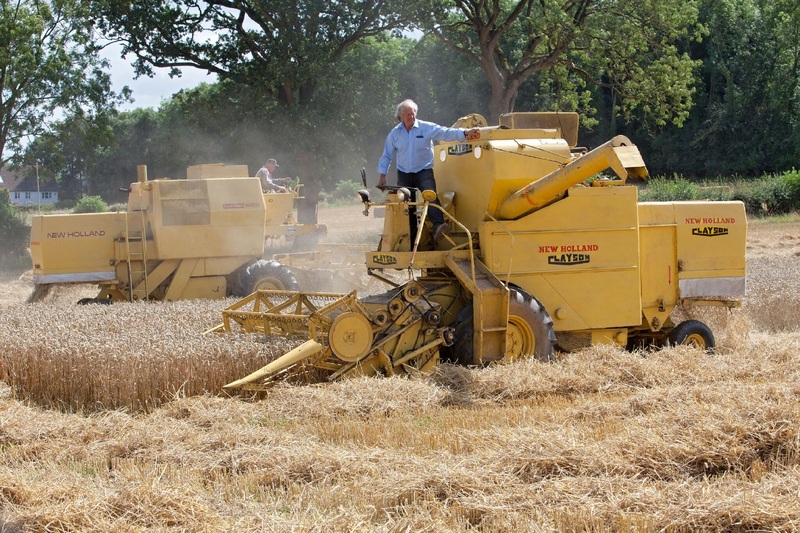 joining us at this harvest event is this lovely restored Ford 4000 owned by local retired haulier Doug Wright! 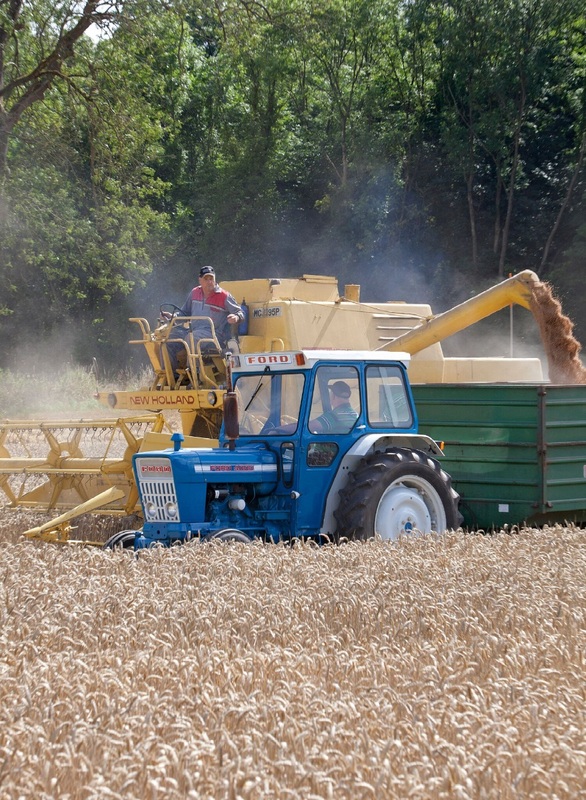 The tractor on grain haulage was a great edition to complete the vintage scene. joining us to capture this event was professional freelance photographer Johnathan Page. 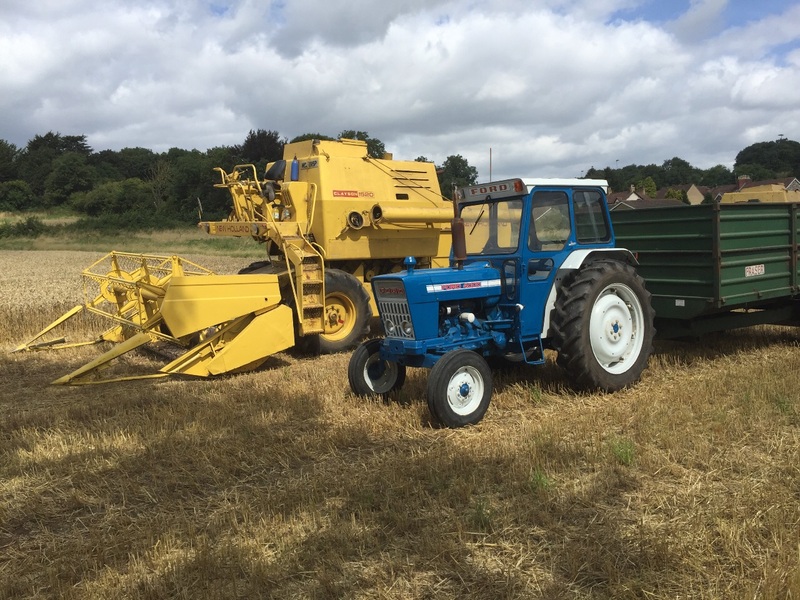 Jonathan was carrying out this shoot for Classic Tractor, and he was thrilled to photograph these old machines, as he was busy this season criss crossing the country photographing more modern Class Combines to celebrate the anniversary of the Lexion launch. Jonathan has kindly given yellowswirl the use of his photos to use on here and we are very grateful. 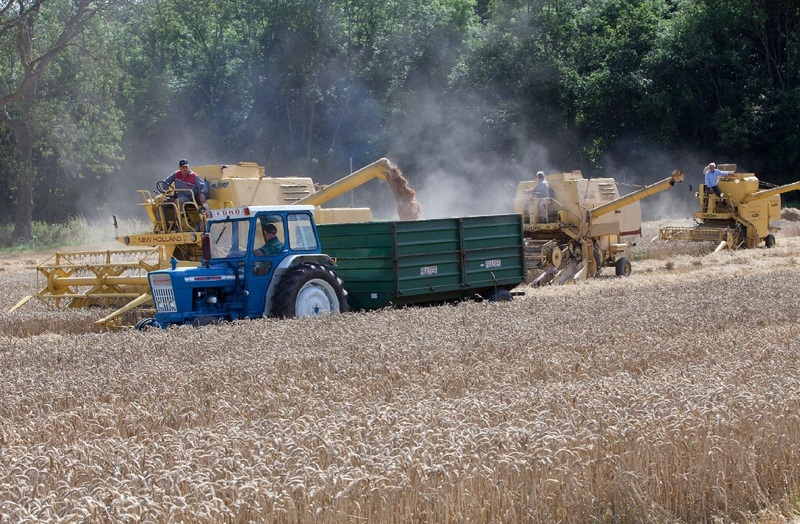 After all the effort to run these combines it's so nice to be able to capture pictures and memories of a very enjoyable day. Barry at the controls of his M121 Barry opted to operate this one himself as he has spent a great d al of time restoring it back into working order, and he expected more issues as it hasn't cut for many years!! 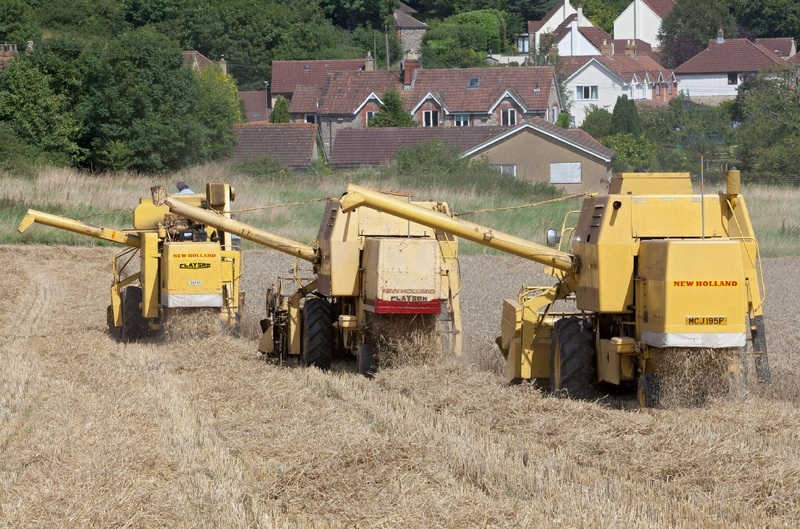 The three Classics at work! Viv, Barry, and Colin Photo copyright Johnathan Page. 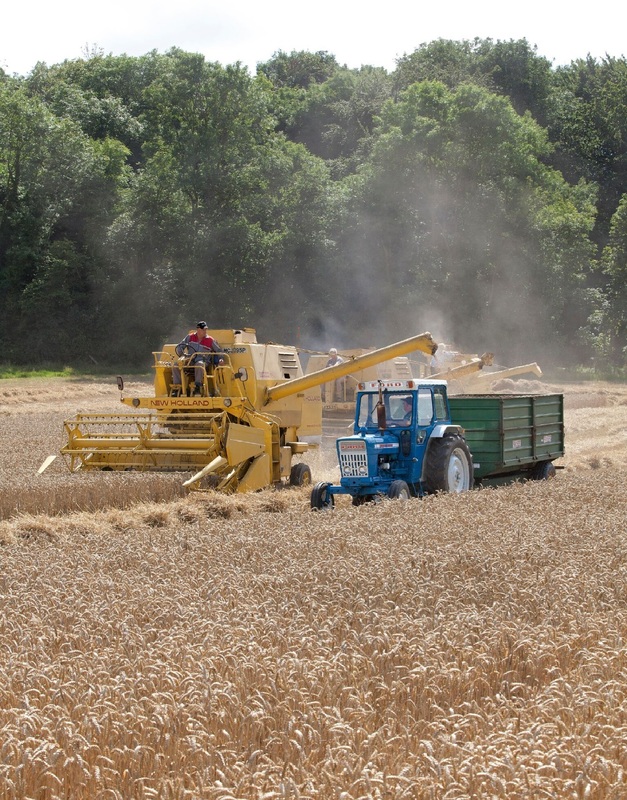 A perfect harvest summer scene. 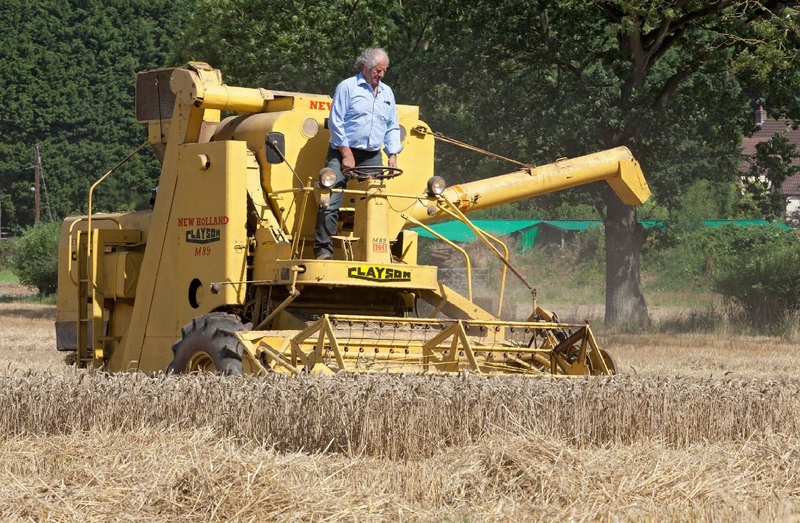 Barry nursing the 1969 M122 through this Gloucestershire wheat crop. Leading the pack, and unloading on the go. The heat the dust and urgency captured in this shot! Long shot of Colin and 1520 unloading. Viv checking his tank a busy afternoon. Stopages were rare thankfully, Barry making adjustments to the Reel speed drive mechanism. 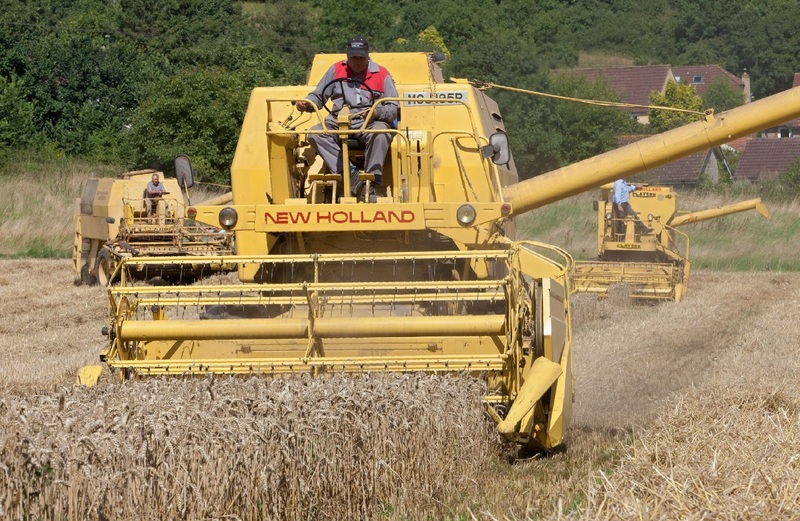 The precious crop safely gathered in. 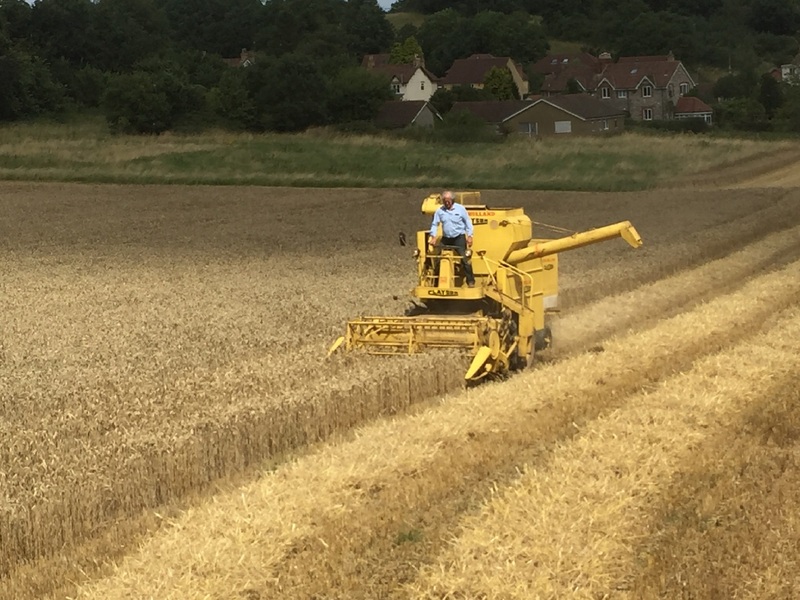 Viv tackling the steady climb up this Gloucestershire wheat field. Plenty of photo opportunities during the day and expertly captured by Johnathan.